I'm like a kid in the candy store, looking at all the new listings in the Tallahassee real estate market. Sure, homes will always be coming onto the market here in North Florida, but this year is more exciting than we've had in a long, long time. Why? Because of our new property search tool, that's why! Last April, I determined that our (old) map-based home search needed to be replaced. While it had been an industry leader for years, I was disappointed in its limitations and knew we had to make a change. The new search tool came at a great expense though. I knew I would be giving up top search engine rankings for over 1,500 pages that we had created with the old one, but I also knew that we would recover those within a year or two and also be able to serve up the best real estate website in Tallahassee for years to come. I had to sacrifice the gains we had made in the past to start all over and I knew it would pay off once we got all the bugs worked out of our new system. Well, the bugs are gone, and you should check out some of these new features. In fact, I would appreciate any recommendations for other new searches that you would like me to build into the site. Any one of the following links is not only "good" now, it will always be a current search. That means if there is one that you particularly like (for example - the newest listings on the market priced between $300,000 and $350,000), then simply click the link and bookmark it in your browser. Our database is updated several times each day, so the answers you get in the afternoon will likely be different than the ones you would have generated in the morning. How about the newest listings of homes for sale in the 32312 zip code? Or perhaps the latest Tallahassee luxury listings? Maybe you want to know what has been Just Listed in Southwood. 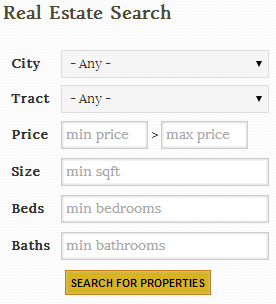 Regardless, we've got countless property search links coming your way. Regardless, it's a great way to see what's new in the Tallahassee real estate market. The ability to sort the information is great too. The initial display shows the listings based upon an ascending order of the date they hit the market (meaning newest ones top the list). But you can sort them in other ways as well. You can sort them by price, or by the percentage of price drop (for those sellers who mistakenly hit the market at too high of a price), or by size or size of the lot. This property search tool puts a lot of control at your finger tips, and the information is within a few hours of being current with all the listings in the Tallahassee MLS, so it's like you have all the information and control that real estate agents enjoy.